1. 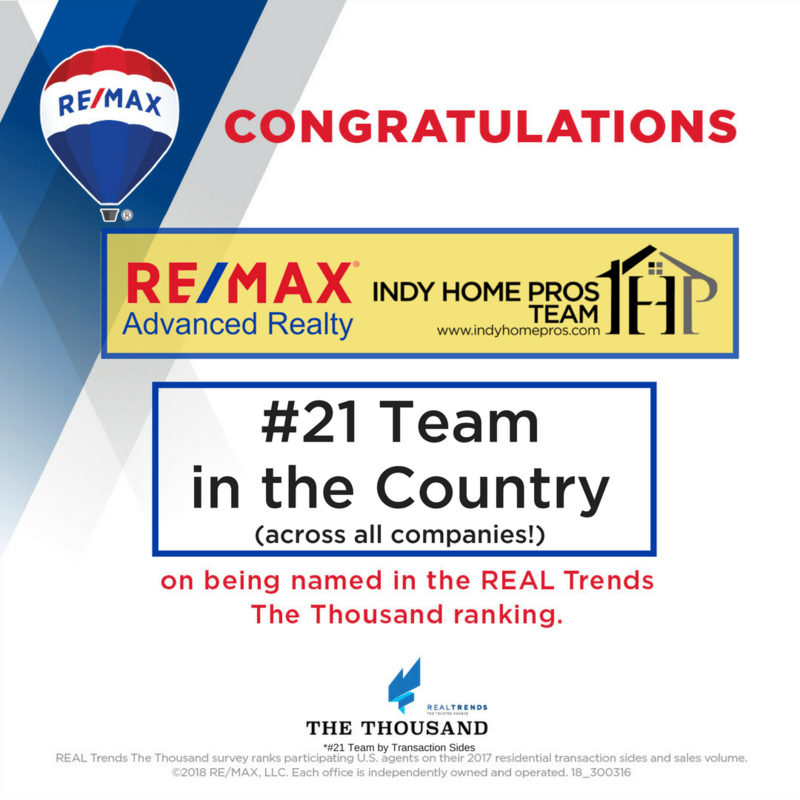 [Q] indianapolisrealestate.com: How does it feel to be the #21 Team in the Country? [A] Dennis Nottingham: Pretty good. To build something from the ground up, to watch it grow into something like this, it’s pretty special. Hard work pays off, but it’s really my team who busted their butts to make this happen. Couldn’t have done it without them. 2. [Q] indianapolisrealestate.com: You’ve also been the #1 Team in Indiana for a while, how do you keep that up? 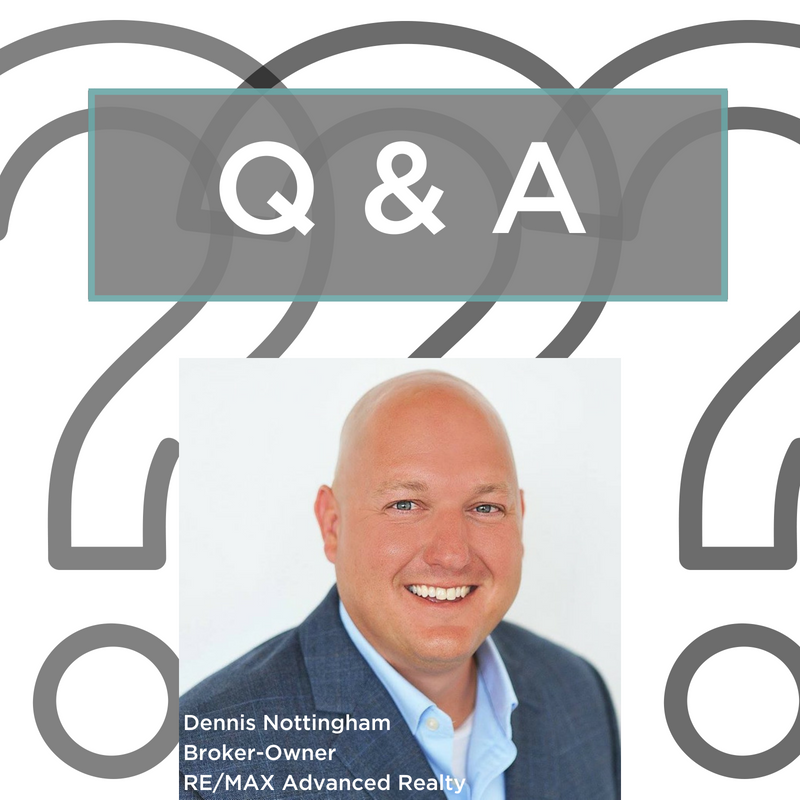 [A] Dennis Nottingham: For 7 years now we’ve been the Top Producing Team in number of transaction sides, homes sold and bought, and that comes from putting our clients first. You can’t build that type of resume if your clients aren’t getting the utmost professionalism mixed with true lifelong friendships from their Real Estate Brokers. 3. [Q] indianapolisrealestate.com And how many Realtors-Brokers are currently on your Team? [A] Dennis Nottingham: Just under 60 and growing! [A] Dennis Nottingham: With my company, what you see is what you get. No gimmicks, no fancy selling points to recruit Brokers. The proof is in the results. We’re a family, and I don’t take on just anyone, we only hire Brokers that fit our model and our culture. We’ve built a nice little community that way, and I won’t sacrifice that just to grow bigger. And I think Brokers tend to come to that realization on their own. One of our new Agents whose husband works in the Tech industry had him research which Agencies had the most prominent Digital Marketing Presence. He ended up choosing us. So that was pretty cool to hear since Digital Marketing and Social Media are both areas I’ve been actively focusing on for years. *See the entire Real Trends list here! If you’re interested in Joining The Indy Home Pros Team as an Agent/Broker, or have any questions for Dennis, you can email him at dennis@indyhomepros.com or call (317) 298.0961.